Recovery, according to the Substance Abuse and Mental Health Services Administration, is a process of change that leads to a fulfilling life. The alcohol abuse recovery process is a lifelong process. In an article published in the Yale Journal of Biology and Medicine, addiction expert Steven Melemis identifies three stages of recovery. Even as you progress through the last stage, relapse can happen at any time if you’re not actively participating in your sobriety. The recovery process begins with the abstinence stage, which starts as soon as you stop using. 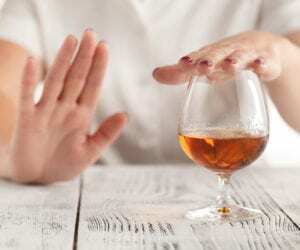 Alcohol addiction treatment starts with medical detox, where you allow all traces of alcohol to leave your body so that brain function can begin to return to normal. During the stages of alcohol withdrawal, you’ll be supervised by medical personnel, who will administer medication as needed to reduce the withdrawal symptoms. Once the stages of alcohol withdrawal are complete, attention turns to treating the addiction, which, in the early stages, involves developing essential coping skills. Accepting that you have an addiction. Practicing honesty in your life. Developing coping skills for dealing with cravings, stress, negative emotions, and other relapse triggers. Practicing a high level of self-care and set personal boundaries. Making essential lifestyle changes that support a life of recovery. Developing hobbies and other healthy alternatives to drinking. Developing healthy relationships with other non-users. Seeing yourself as a non-user. Relapse is more common at this stage than at later stages, but it’s important to note that relapse is now widely considered a normal part of recovery, and it doesn’t mean that alcohol addiction treatment didn’t work. It simply means that you’re still lacking certain skills–such as managing negative emotions or practicing mindfulness–that you need to develop for successful long-term recovery. People who view relapse as an opportunity to learn missing skills are more likely to get back to recovery quickly, better prepared, and more motivated than ever to enjoy a life free of addiction. The repair stage of the alcohol abuse recovery process is where you repair the damage the addiction did to your life. This stage can last as long as two or three years. Now that you have a strong foundation for recovery, you give more attention to making amends, repairing relationships, and changing negative patterns of thinking, including negative self-labeling and feelings of guilt. Continuing to identify and change negative or unhelpful patterns of thinking, such as catastrophizing and negative self-talk. Separating yourself from your addiction identity. Repairing damaged relationships and making amends wherever possible. Beginning to feel comfortable with being uncomfortable. Making a high level of self-care a priority in your life. Enjoying a healthy, balanced lifestyle. Continuing engaging with support groups. Continuing to develop healthy alternatives to using. Finding purpose and meaning in your life. During the growth stage of the alcohol abuse recovery process, you continue to develop missing skills and explore and address the underlying causes of the alcohol abuse and addiction. This stage is about moving forward in recovery, living in the here and now. This stage typically starts three to five years after you stop using, and it lasts a lifetime. Continuing to identify and change negative thought and behavior patterns. Letting go of resentments and moving forward with compassion and clarity. Managing stress through yoga or meditation practices. Maintaining healthy boundaries in your life and your relationships. Beginning to give back to others and to the community. Continuing to engage with your support group for accountability and fellowship. Consider being a sponsor. Working toward achieving authentic happiness in your life. The alcohol abuse recovery process is designed to remove the need to drink from your life. It’s all about finding joy, purpose, and meaning in a life without alcohol. It’s about changing the way you think about yourself and the world and creating an ideal life that aligns with your inherent strengths and values. Treatment works, and it can improve your quality of life by leaps and bounds.